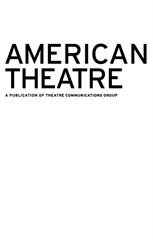 Search for American Theatre back issues available for purchase. Cost: $7.95 for issues in the current year. To order more than 10 copies of the same issue please contact info@tcg.org.